The walkie is your only friend. And rightfully so, as it easily was one of the best indie games playable at the show. 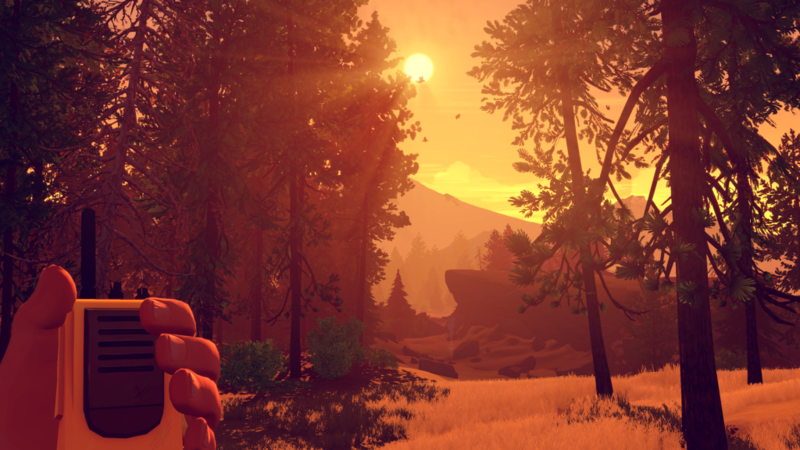 Firewatch puts players in the shoes of an average joe named Henry on his first day on the job as a lookout in a Wyoming park. A big reason as to why Henry is in this position is due to his life falling apart. For one, he’s about to get divorced, and from the look of his disorganized watch station, he’s obviously not happy. All that said, at least he’s not alone. Sort of. Henry’s accompanied by his supervisor, Delilah, via walkie and in all honesty, his job really isn’t that hard. All he has to do is venture out in the woods to Delilah’s instruction when something is amiss. The demo featured at PSX apparently puts Henry through his first day, and after Delilah notices fireworks to the west of the lookout tower, she tasks Henry to put a stop to the illegal activity. Equipped with just a map, compass, and his walkie talkie, Henry is pretty much on his own from there. I’d be lying if I said it wasn’t at least a little bit intimidating to have the entire Shoshone National Park to explore, and given my lack of experience with first-person games, it made it that much harder. Eventually you’ll find your way on the right path having various conversations with Delilah from time to time on the walkie, and players have the flexibility of how to respond to her, if at all. It’s unknown as to whether or not the way you respond to her will affect the course of the story, but it wouldn’t be a surprise seeing as how Campo Santo was founded by Jake Rodkin and Sean Vanaman, the creative leads of Telltale’s The Walking Dead. Hmmm… how do you read a map? In any case, you have all sorts of freedom in the park. During my journey, I came across deposit boxes where I took people’s food, found a baseball in a curiously clean bathroom and threw it in the toilet after six painful tries, and I also threw a sign depicting the forest’s mascot off a hill, amongst other stupid things to do. It’s all awesome, and I (along with the development team watching) really got a kick out of all the things I was doing. Before long the demo came to an end, and it sucked that the experience was already over. I also have to admit that as much of a joy as it was to play the game, it was also pretty fun watching other people give it their go. 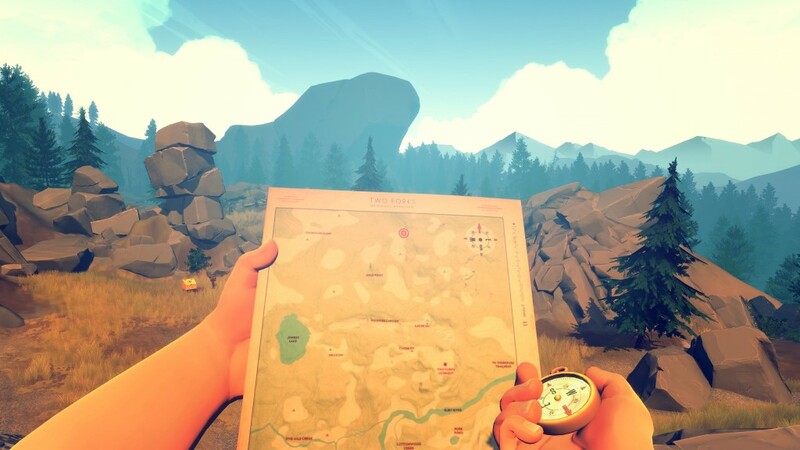 Before my turn, I was actually watching GameSpot’s Danny O’Dwyer do some crazy things in his playthrough that I didn’t even think of when I was playing, so it shows that no matter your experience with first-person games, there’s plenty to enjoy in Firewatch. The game is coming this February, and we’ll be all over it.